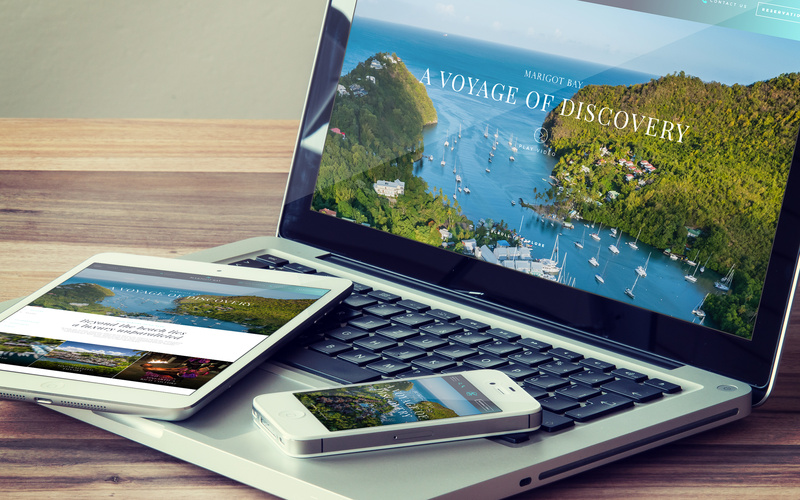 We recently celebrated the launch of Marigot Bay Resort and Marina’s website – a site that we have been working very hard on for the past couple of months. We thought we would share our aims, challenges, and successes for this project so you can see what goes on at Journey HQ. Successful hotel and resort brands depend on a powerful and connected experience. Guests expect brands to live up to their image. They expect great service and a great experience. Our aim is to reflect that experience because for us, the experience is the brand. Marigot Bay Resort and Marina in Saint Lucia were struggling to effectively communicate their guest experience. With so many facets to the resort and stories to tell, the team at Journey embarked on a week long fact finding mission at Marigot Bay to gain a deeper understanding of the resort and its unique value proposition. From this visit, we were able to ascertain what differentiated the resort from its competitors and this insight would help to form the basis of our brand concept and help. Marigot Bay Resort and Marina is unique. Hidden inside a beautiful bay on the North East tip of Saint Lucia, the service and staff at the resort are like nothing we have experienced before. At Journey, our brand philosophy is grounded in a single unifying idea, one unique concept key to each and every design decision we make. Marigot Bay Resort and Marina’s original website failed to showcase all the different elements of the resort and was missing some of the key aspects of the Marigot Bay experience including the service provided by the staff. Based on the concept of a yacht sailing into the bay, a ‘voyage of discovery’ was born, taking the visitor on a journey throughout the resort as they navigate through the website. We focused on positioning the brand as a ‘destination’ rather than just a resort. The concept progressed further with the design and development of the website, expanding through user experience, video, content, animations, and headlines. 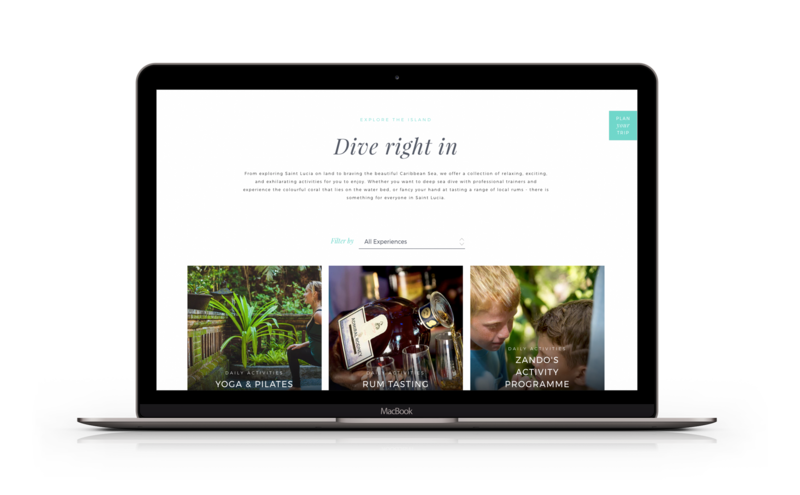 By incorporating local culture, service and facilities, and members of staff – all of which were inspired by the concept of discovery – we were able to bring the brand online. 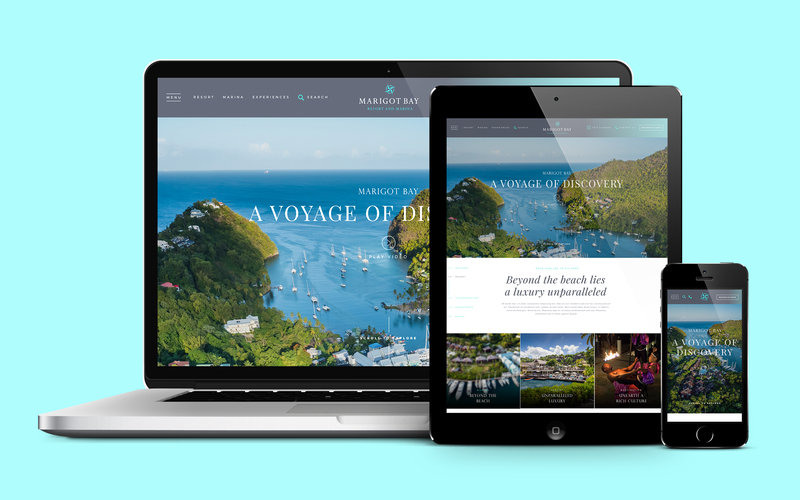 By combining this unique brand concept with development expertise, the new website is now a powerful tool designed to engage guests, drive revenue, and differentiate Marigot Bay from the competition. We integrated a range of images and themes surrounding maritime and voyages, focusing on the marina and Marigot Bay’s location. It was through these themes that our imagery, content, and layouts all formed a brand that we could bring to life online. Now guests can easily find out about accommodation options and availability, shopping facilities at Marina Village, the range of restaurants and bars in the surrounding area, and book exciting activities taking place across Saint Lucia. It’s been one of our most exciting projects. We’re really proud of the finished result and ongoing partnership with one of the Caribbean’s premier destination resorts. If you’re ready to start your journey or are curious about our processes, contact us through our enquiry form or call Julian our Commercial Director on +44 1242 801849.